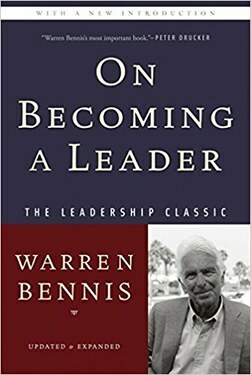 A manager can ensure that they are developing their own leadership capacity and the leadership capacity of others in their organization by practicing some of the leadership behaviors Bennis noted. The first step is carving out time on a regular basis to think about the long-term, to challenge your own assumptions, and to consider the benefits of making significant changes, not just the risks. One of the benefits of leadership behaviors is that they breakdown the isolation that many in senior management feel. Increasing your openness to your own leadership potential can open you to the leadership that can come from others in your organization. Another benefit is that the level of passion you bring to your work may increase if you spend more time focused on doing the right thing. 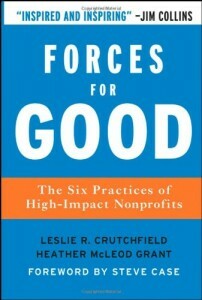 Forces for Good, by Leslie R. Crutchfield and Heather McLeod Grant, pointed to the success of organizations that had leaders who were so passionate about their organization's cause that they acted in support of the cause, even when it did not benefit their organization. If worry and fear are holding you back, consider working with a coach or forming a peer group that can provide you with encouragement. Set aside time to explore new ways of doing things with your staff as well. Encourage them to bring you new ideas and to share their perspective on the direction of the organization. There is no more basic role of a leader than developing other leaders. Some ideas on how to do this are available at Leadership Development & Nonprofit Careers.